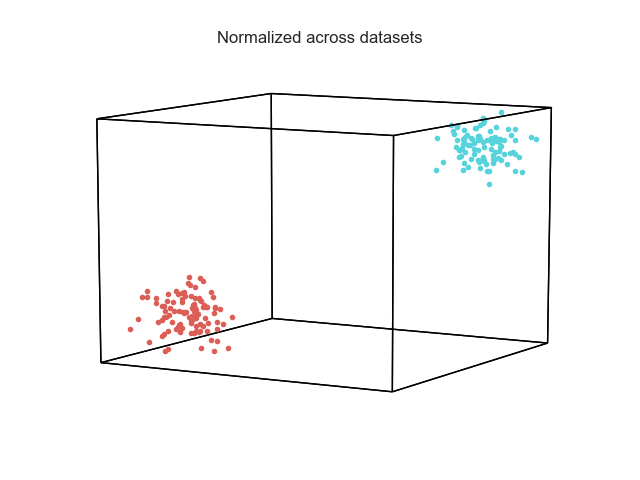 Often times its useful to normalize (z-score) you features before plotting, so that they are on the same scale. Otherwise, some features will be weighted more heavily than others when doing PCA, and that may or may not be what you want. 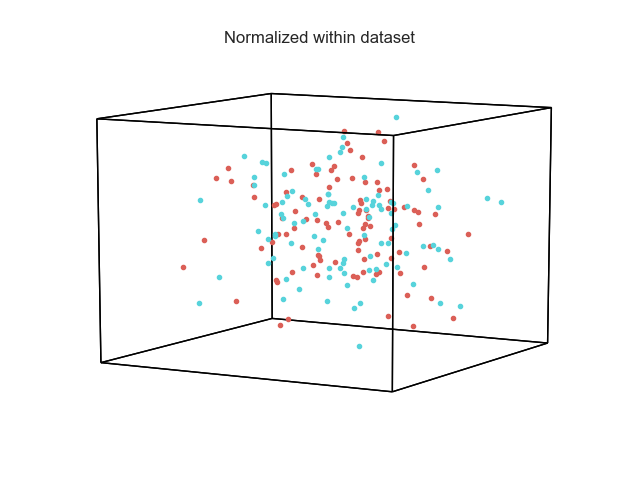 The normalize kwarg can be passed to the plot function. If normalize is set to ‘across’, the zscore will be computed for the column across all of the lists passed. Conversely, if normalize is set to ‘within’, the z-score will be computed separately for each column in each list. 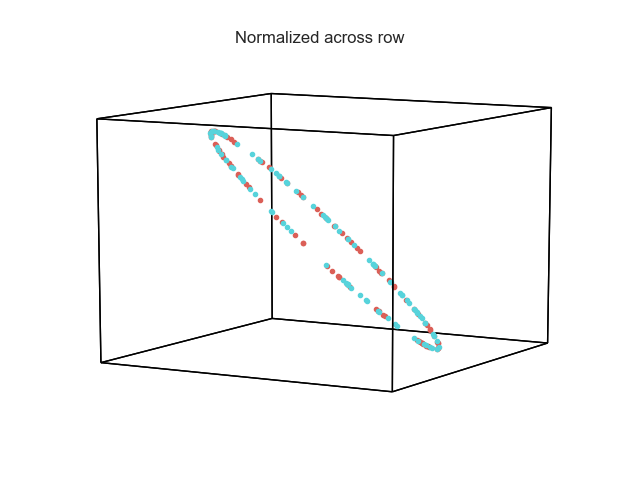 Finally, if normalize is set to ‘row’, each row of the matrix will be zscored. Alternatively, you can use the normalize function found in tools (see the third example).